Last night, I finally got to see one of my favorite bands with one of my favorite people. All day, we were really lucky. The second we left the house, it stopped raining. We got to the venue and found that only five people were waiting in line. We had enough time to walk around the neighborhood, trying to find band members wandering around before the show (we didn’t find anyone; but we ended up having the best pizza ever, which is just as exciting). When we got back to get in line, still only very few people were in line in front of us and we were actually able to claim a spot by the barricade. The event we went to was called Emo Nite Day. Eight artists performed, one band better than the rest. As you can probably tell by the name of the event, I have never seen more emos in one room. Crowdsurfing, nearly moshing in the pit, belting along to My Chemical Romance and Panic! At the Disco anthems; everyone was having the time of their lives. We went through five hours of (amazing) concerts, before the band that we came for came on: All Time Low. I had never seen them live, but my friend has seen them many times already. But, this time was special, even for her, I think. It was our first concert together. Every second was magical, I’m serious. They were so energetic, so ready, so good, and we were so close to them. Their setlist was shorter than usual, but they played most of my favorite songs and I was in heaven for an hour straight. 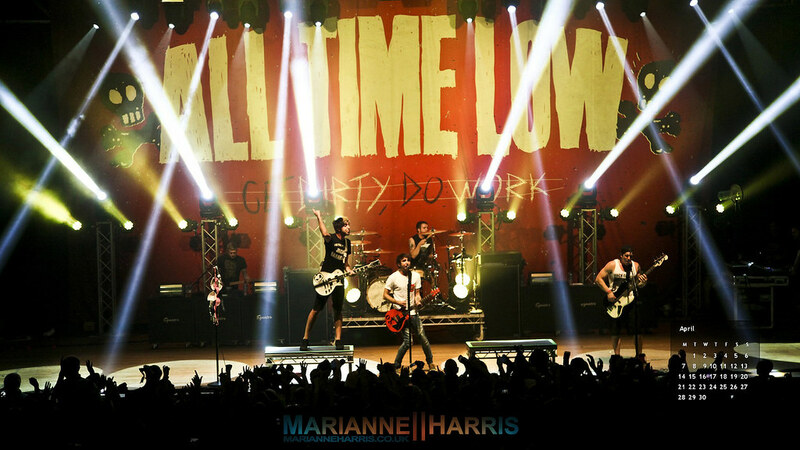 I haven’t seen many bands in my life, but All Time Low really had one of the best performances I have ever witnessed. Not even kidding. Surprisingly, the well known post-concert depression hasn’t hit me yet. Today, I am only left with a bruise on my stomach from being pressed against the barricade, a ringing in my ears, and nothing but happy thoughts. I have always loved art, but not so much in a gallery, while I appreciate it, what really gets me happy is street art. Street art is one of those things that you always have to appreciate. I’m not saying all the ugly gang tags on the side of a bridge, but when you see something that someone has taken time to do, and invested more than just money into you have to stop and think about it. Street art is an ever growing movement. 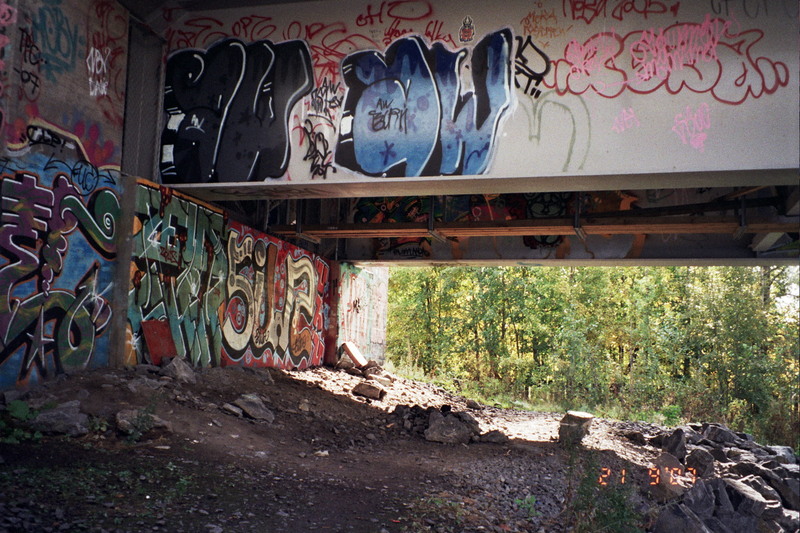 When people see actual street art and call it graffiti, it actually isn’t correct. I have always loved American Idol. Maybe it’s just because I personally love to sing, but I find it to be one of the best reality television shows. I haven’t had a chance to follow it this season, but last season I was so excited when Scotty McCreery won. He was by far my favorite. There were a lot of good contestants and have been so many amazing singers and performers throughout the history of the show. But, it it not so much the show itself that I like, but the auditions. So many of them are just downright hilarious, and there are those select few that are just plain amazing. Bored on Youtube the other day, I decided to watch the American Idol auditions from the 2012 season, and came across quite a few amazing singers. But one that stood out to me the most was named Reis Kloeckener, a young 16 year old from Missouri. I didn’t know what to expect, but when he started singing, I could hardly believe it. He also has other covers, my favorite being “Sunday Morning“, originally by Maroon 5. There’s no doubt in my mind that this kid is going to be very famous one day. He is truly amazing! Words can’t begin to describe what you mean to me. I don’t hear it as much. words can’t describe how it makes me feel. because you are such an honest man. because of my heart and determination (I get it from you, you know). I’ll never forget that 아빠. 아빠, you are an amazing man. I’m going to marry somebody just like you. Words can’t describe what you mean to me. and you deserve all you want. Stay healthy and be always happy. I have always been and always will be a Coke fan. It is in my opinion a thousand times better than Pepsi, not only in taste but also in marketing and the company all around. Coca Cola is the main sponsor for the Olympic Game, as well as a world wide known brand. Coca Cola is a brand that is known to put a smile on some one face. Coke has always had some of the greatest banners and adds to represent their product. The older ones are amazing, and they show us that coke has been around for quite a while. As well as their christmas adds. The bottles have changed quite a bit since the 1899, and to be honest I wish they looked the way they used to look. Something awesome that I found was that Coke used to have Coca Cola coupons that entitled you to a free glass of Coke! that is so cool, its too bad that some things have changed. 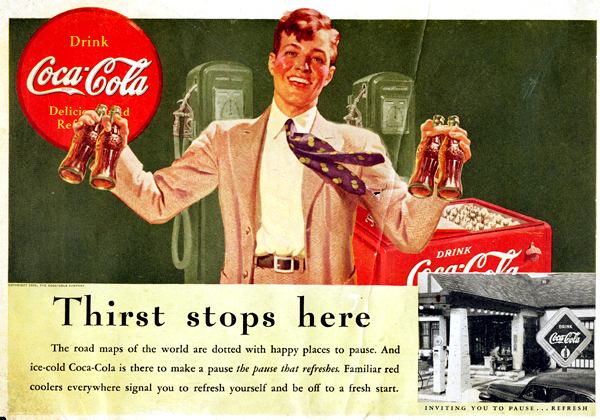 For some, Coca Cola has been a part of their lives for the entire duration and for others it has never been introduced, but when it is introduced it is known to be loved. So Im definitely a Coke guy. What are you? I like peanut butter but I LOVE Nutella. I’ve always been a fan of peanut butter and jelly sandwiches; they are good and you can never go wrong with a PB&J. Unless you’re allergic to peanuts, yikes. But see, Nutella is delicious, sure there is some things much like peanut butter that could be harmful to some but it’s just so good that even those who don’t like it actually really do. Its taste is AMAZING, and there is so many tasty ways to eat it. Nutella with bread, Nutella crepes, Nutella croissants, Nutella with strawberries, Nutella with bananas and MANY MORE!!!! I think Nutella wins, what do you think?